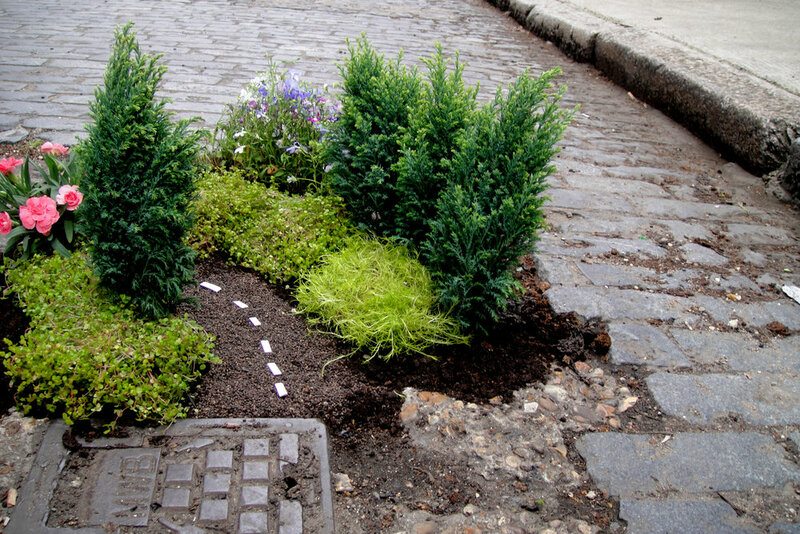 I was recently commissioned to create a new little garden for confused.com. 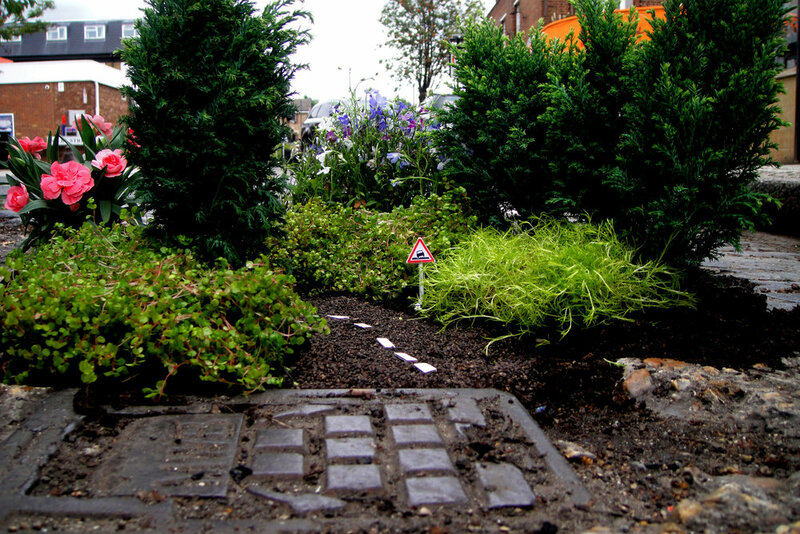 I was over the moon, albeit a little intimidated by the brief - to create a little pothole garden with a road running through it with a little street sign warning of the potholes in the road! This is by far my most ambitious garden yet. 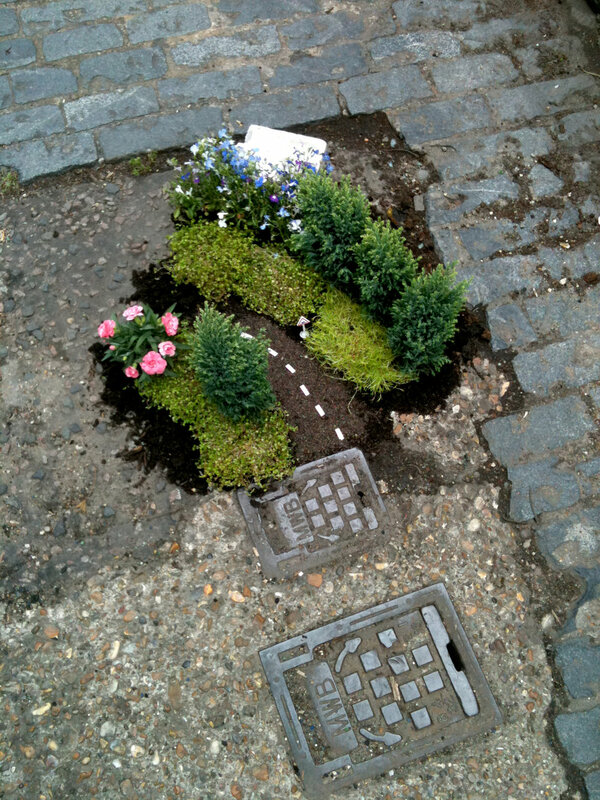 Armed with some tiny conifers, alpine grass, a Dianthus and some others bits and pieces, I found this pothole just off Valance Road in East London, rolled up my sleeves and began gardening. Enjoy! I did shoot a short film of the dig and I'll post it shortly.